Numerous factors have contributed to the school’s growth in graduate education, including a burgeoning national reputation for online education and the preparation of nurse educators, Martin noted. 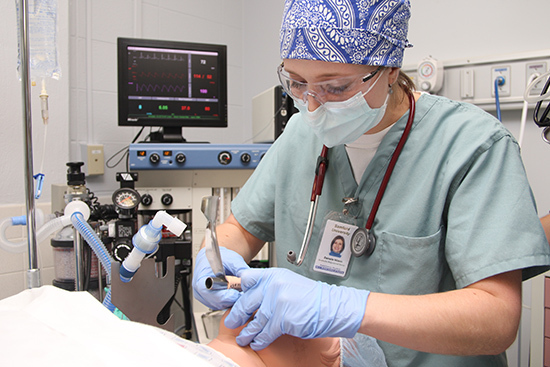 With the exception of the nurse anesthesia program, all master’s programs are taught online and have been recognized among the best in the country for online education by U.S. News & World Report for the past two years. In addition, through the U.S. Department of Health and Human Services, Health Resources and Services Administration’s (HRSA) Nurse Faculty Loan Program the school has received more than $5.4 million to support graduate students pursuing a career in nursing education.